Washington (CNN) US Ambassador to the United Nations Nikki Haley announced the United States is withdrawing from the UN Human Rights Council Tuesday, accusing the body of bias against US ally Israel and a failure to hold human rights abusers accountable. Speaking from the State Department, where she was joined by Secretary of State Mike Pompeo, Haley defended the move to withdraw from the council, saying US calls for reform were not heeded. 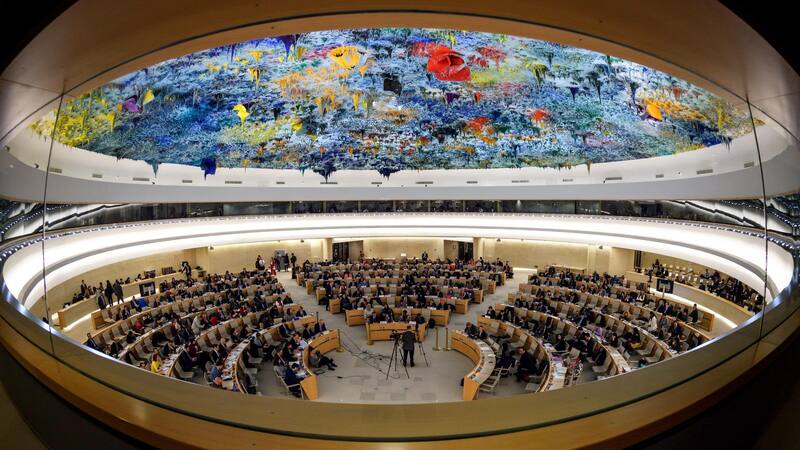 Based in Geneva, the Human Rights Council is a body of 47 member states within the United Nations tasked with upholding human rights. Membership on the council gives countries like the United States a voice in important debates over human rights atrocities, but the council’s critics, including Haley, say abusers use their membership to guarantee their own impunity. “For years, the UNHRC has proven to be a biased, hostile, anti-Israel organization that has betrayed its mission of protecting human rights,” he said. “This decision is counterproductive to American national security and foreign policy interests and will make it more difficult to advance human rights priorities and aid victims of abuse around the world,” they added. US withdrawal from the council follows efforts by Haley and the US delegation to implement reforms, including more stringent membership criteria and the ability to remove members with egregious human rights records. Haley also blasted the council for a “disproportionate focus and unending hostility toward Israel,” citing a series of resolutions highlighting alleged abuses by the Israeli government of Palestinians in Gaza and the West Bank. Haley said the United States will continue to promote human rights outside of the council and would consider rejoining it in the future if reforms are made. CNN’s Elise Labott and Eric Levenson contributed to this report.